DETROIT — The Royals entered the 2019 season pledging to steal more bases and overall be more aggressive on the basepaths. But with that style of play, you have to live with occasional failures. And that was the case Sunday at Comerica Park. The Royals lost three runners on the basepaths, and that could have been the difference in a tight 3-1 loss to the Tigers, who completed a three-game sweep and sent the Royals to their sixth straight loss. The Royals felt they needed to be aggressive in this one, especially with the way Tigers starter Tyson Ross was dealing. The Royals wailed away at Ross’ slider for seven innings, and he struck them out eight times. The only damage the Royals accomplished came when they manufactured an early run. Second baseman Whit Merrifield doubled to right to lead off the game and then scored on two groundouts. Merrifield’s hit extended his hitting streak to 28 games, two behind tying the club record of 30 held by George Brett in 1980. “I’d be lying if I said I am not thinking about [the streak],” Merrifield said. But Merrifield and the Royals turned their attention toward making something happen against Ross. 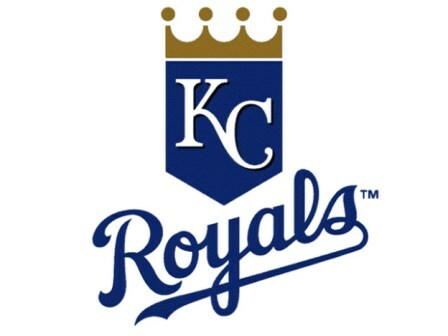 The Royals wasted an excellent chance in the third inning. Billy Hamilton singled with one out and stole second. Merrifield reached on an infield single, sending Hamilton to third. But Adalberto Mondesi struck out. After Merrifield stole second, Alex Gordon lined out to left. In the fifth, Royals catcher Cam Gallagher singled to right-center but was thrown out trying to stretch it to a double. Hamilton reached on an infield single but was thrown out trying to steal by Tigers catcher John Hicks. A promising inning quickly evaporated. “That’s part of baseball,” Hamilton said. “Guys are going to get thrown out. In general, you can’t get mad at a guy trying to get a double or a guy trying to steal bases. Meanwhile, after a wobbly first two innings, Royals right-hander Brad Keller managed to give manager Ned Yost a quality start — six innings, five hits, three runs, three walks and three strikeouts. The Royals had one more golden opportunity in the eighth. With one out, Hamilton singled and went to third on Merrifield’s third hit of the game. But then Merrifield was thrown out trying to steal second. Mondesi then grounded out. Merrifield had no problem being aggressive in that situation, trying to get in scoring position with the tying run. “It’s just part of who we are,” Merrifield said. “It’s our identity as a team. The goal is to be more successful than not. It’s been a small sample size, but hopefully that kind of play is going to win us more games than it potentially puts us in bad situations to lose games.